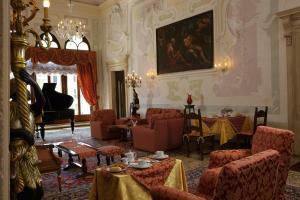 The Hotel Galleria, 50 yards from the Accademia with rooms overlooking the Grand Canal from €100 ($130). 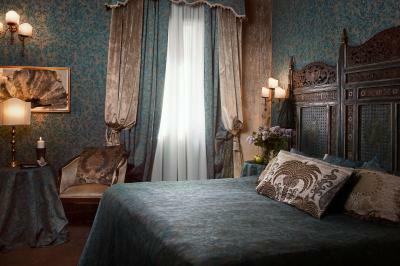 Here are 19 of my favorite Venetian hotels in every price category. The star designations (from none to three) merely indicate hotels that have a little something that makes them special (or extra-special, or extra-extra special). These star ratings are based entirely on personal opinion, and have nothing to do with official Italian hotel ratings or categories, which go from 1 to 5 stars-"deluxe" and have more to do with amenities like minibars, not the intangibles—great location, value, style, friendly owners—that truly make for a excellent and memorable hotel. 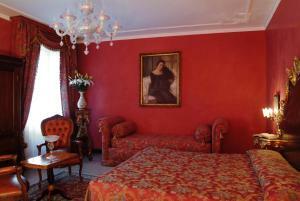 This reflects the lowest cost for a standard double room in low season. Yes, that does leave a whole lot of wiggle room. 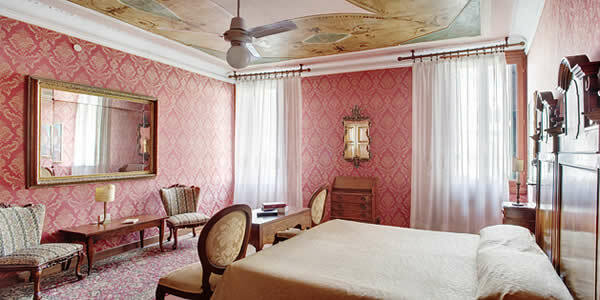 Rates will be rather higher for, say, a "superior deluxe" room with a spectacular view at the height of high season. Still, we have to be able to compare somewhere—and using this metric does at least give you a relative sense of how the hotels compare to one another on price. Since price ranges (€€–€€€) only muddy the issue, I will usually stick to a single designation for each hotel. 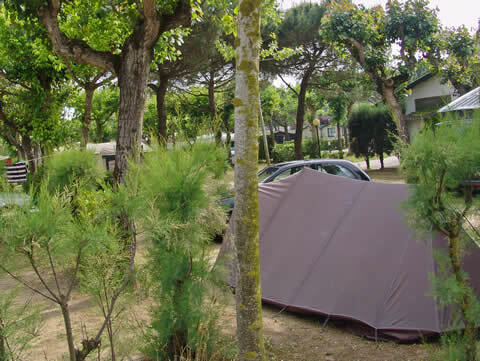 The only time you will see a range is if a property offers more than one distinct category of lodging—not different types of rooms (many do that), but say a property that offiers, say, both private hotel rooms as well as hostel-like beds in a shared dormitory. "CASTELLO" stretches east of San Marco along the Bacino (bay) to the Arsenale (Navy yards). "CANNAREGIO" is the area north of San Marco, including the train station. 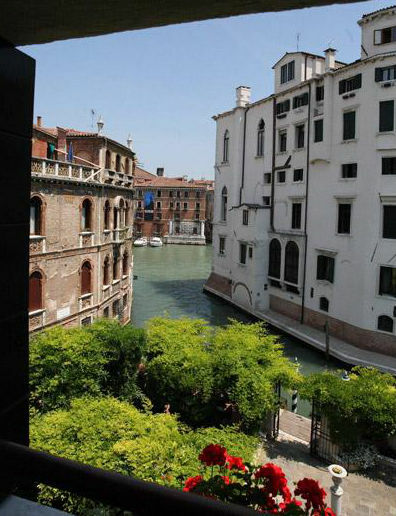 "SAN POLO" and "SANTA CROCE" are two largely residential districts west across the Grand Canal from San Marco. 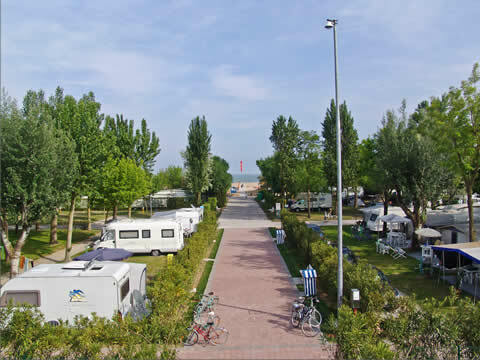 "GIUDECCA" is a separate island, accessible only by boat, curving south of the Dorsoduro. There are loads of inexpensive hotels near the train station, especially along broad Lista di Spagna, and its narrow tributary streets, which heads toward the heart of town (take a left at the bottom of the train station steps). 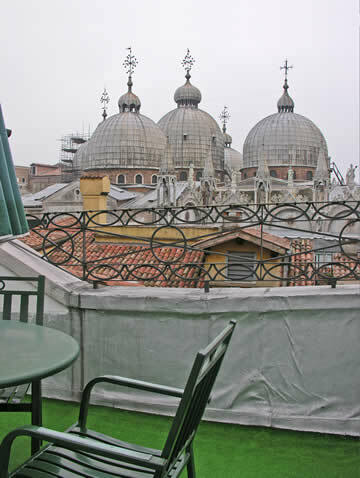 Hotels on the Lista itself can be noisy, but those on the side alleys stretching north (left as you head towards San Marco) are amazingly quiet, and many—especially toward the ends of these streets—overlook tree-filled gardens. The drawback to this neighborhood: Piazza San Marco and the central sights are a hearty 30-minute hike (or vaporetto ride) away. This article was written by Reid Bramblett and was last updated in May 2015 .